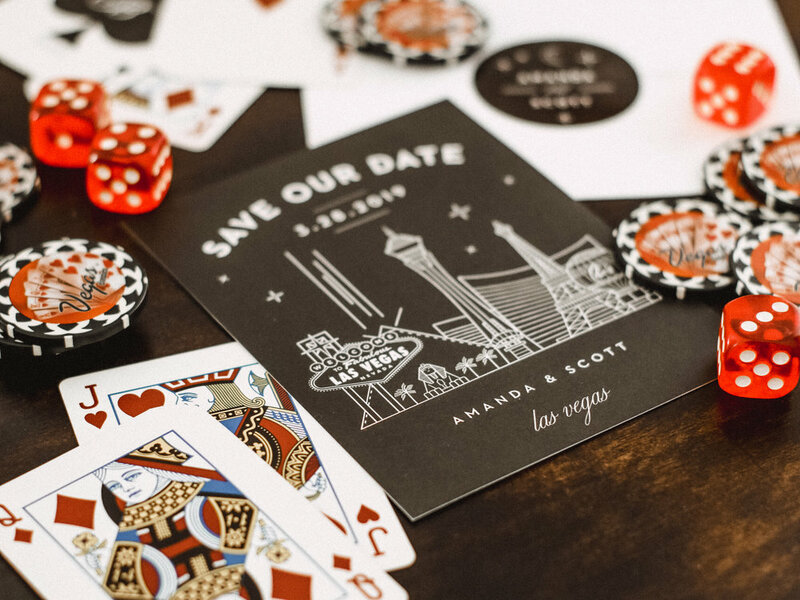 I was thrilled when Basic Invite reached out to me to highlight their new Vegas wedding stationery range (see how I customized the save the date below) and coasters! I used Basic Invite for my wedding invitations so I am no stranger to the company’s offerings and customizing features. The reason why I chose Basic Invite to create my invites was the ease of use and variety of colors, prints, etc with customizing and creating wedding invitation suites that I truly loved and that matched my theme. They also seem to be ahead of the wedding trends; when I was creating my invites (almost a year ago) what sold me on moving forward with Basic Invite was that they offered clear invitation options (which became a very popular trend with acrylic wedding signage and other design elements - and now I see there are even more products offered with the “clear” paper). 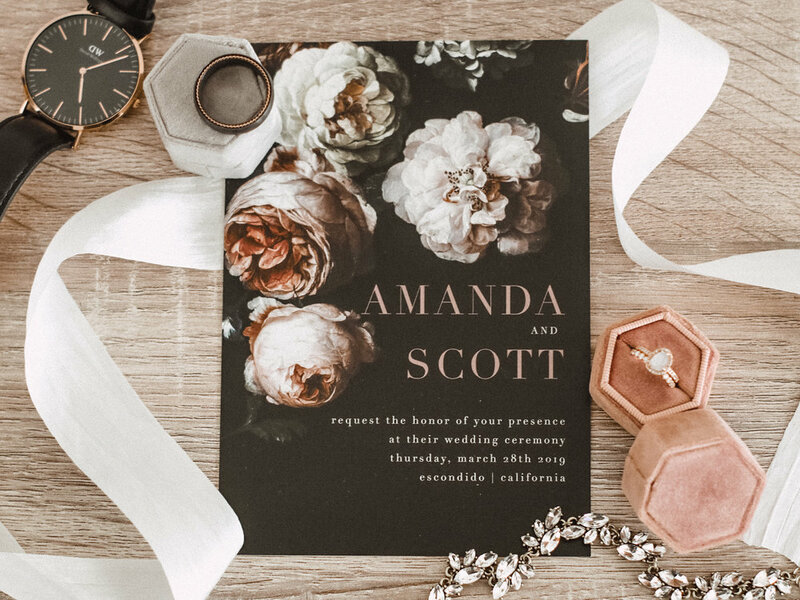 I was able to create and purchase samples before hand and received them in a reasonable amount of time to make a decision on which direction I wanted to go with my wedding invitation suite. Being able to receive customized samples is HUGE because you can see exactly how your text and graphic printed, as well as feel various paper finishes to see what you like best. Basic Invite is one of the few websites that offers unlimited color options with instant preview online - as I’m typing text and changing out colors and fonts, I am seeing those changes in real time which is extremely helpful since I am a very visual person. And to accompany the wedding stationery are 40 different envelope color options, which can also be printed with your guests’ address (that was a huge time saver - unless you want to have specially handwritten addressed envelopes). You can utilize Basic Invite’s Free Address Collection service where you share a link, which collects the addresses as your guests submit, and those addresses can then be printed onto your invite envelopes. Each wedding invitation is apart of a set (there are over 990 sets! Holy Cow! ), which means you can find other wedding stationery such as save the dates, menus, thank you cards, stickers, enclosure cards and programs to match your invitations. To align with wedding invite matching, you can also build your custom wedding website which is mobile friendly and easy to use. You have 180 colors to choose from with customizing your site and it’s simple to upload wedding details and any other info or images pertaining to your special day. 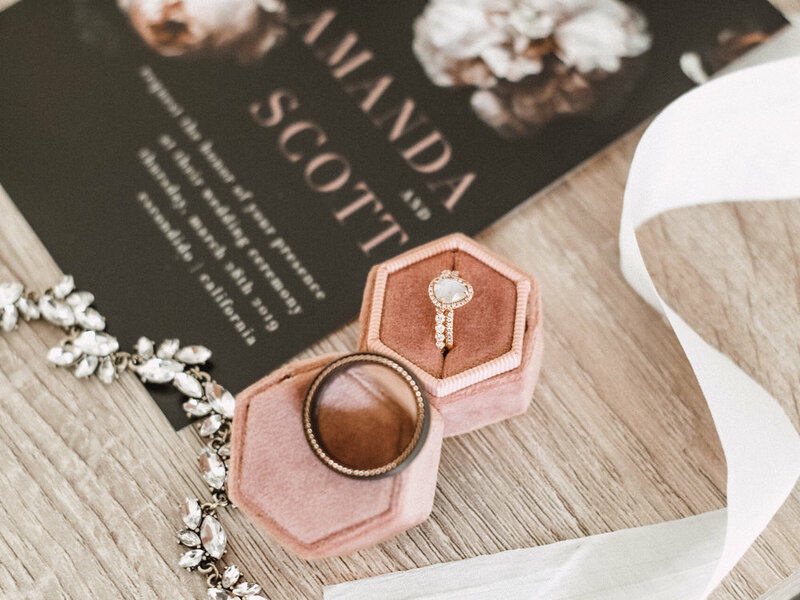 For someone who wants the one and done deal, or are just extremely strapped for time where you don’t want to have to be customizing details on each wedding stationery, you can opt for the Seal & Send Wedding Invitations. These are WAY cool because it’s an all-in-one wedding invitation with a tear-off RSVP postcard included! 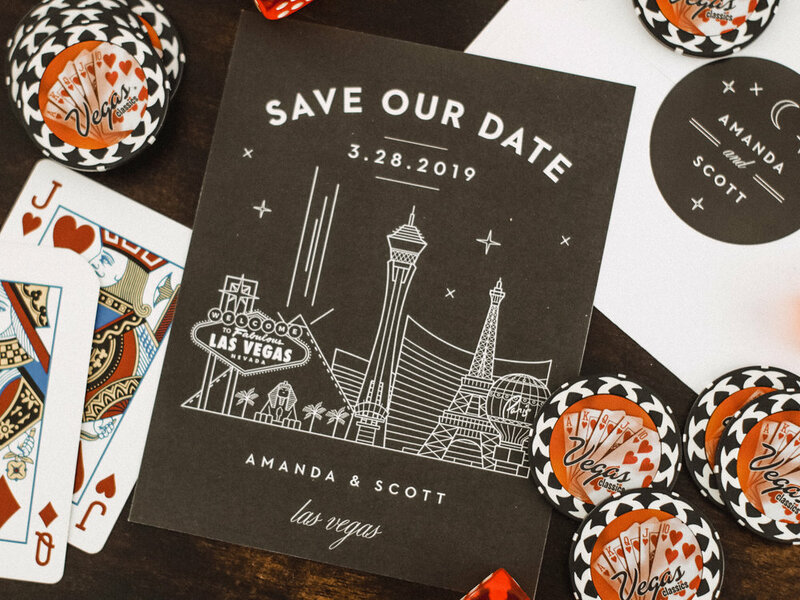 The Seal & Send is Basic Invite’s newest collection and brides are LOVING them - there over 30 designs including foil options. What's extra special about the Seal & Sends is that guest's addresses are printed on the front of each invitation which means no envelope necessary; just add postage, fold your invites, and secure them with a sticker! Don’t forget to complete your custom order with wedding drink coasters, they are a fun way to tie in your wedding stationery theme at the wedding, another wedding related event such as an engagement party or bridal shower, or even to have in your own home when entertaining guests. Amanda of Feast.Fashion.Faves was given monetary compensation to compose and publish this post. All opinions expressed are of her own.